Last week in Santa Clara, the Open webOS team ventured out into the developer community by sponsoring Digia’s Qt Developer Days: North America. As the team demoed the latest porting work of the webOS-ports crew as well as the build running on the HP TouchSmart desktop, the Open webOS booth was busy with curious Qt developers interested in how Qt technology was being used in Open webOS and what is up next on the roadmap for Open webOS. The event was headlined by our very own Qt lead engineer Roger Stringer. Roger gave the audience an overview of Open webOS and the use of Qt in Open webOS before taking questions from the crowd. 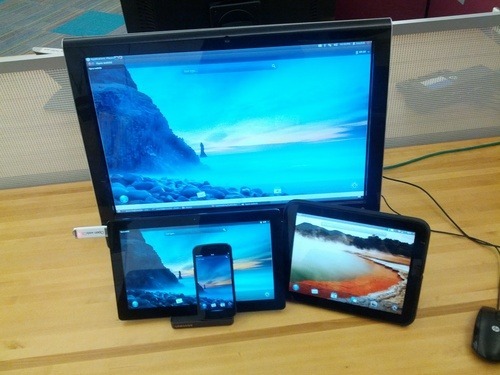 Overall, the Qt community was excited to see the direction in which Open webOS is heading. We look forward to adding these excited Qt developers to the Open webOS community.